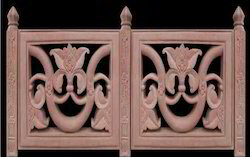 Leading Manufacturer of outdoor stone railing, temple stone railing, baluster stone railings, designer stone jali, stone railing grill and stairs jali and railings from Dausa. By following the ongoing market developments and trends, we have come up with the finest quality Outdoor Stone Railing that is suitable for exterior construction works. With clean lines and symmetry, these railing incorporate purpose aesthetic appeal, and sophistication. 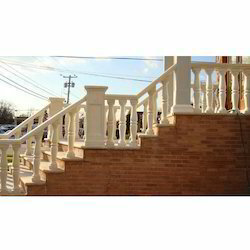 The stone railing is very strong and is resistant to adverse weather conditions. Our range is highly innovative, creative and appealing in appearance. We keep into consideration the quality of the range at various levels of production. 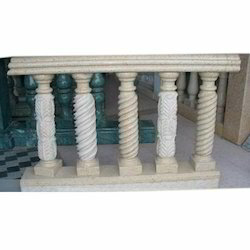 We are betrothed in offering an inclusive collection of Temple Stone Railing that can easily be installed in houses, hotels, restaurants as well as educational institutes to enhance the decor. These are also suitable for building interiors as well as exteriors from straight, curved to stairway applications as well as in custom-looking railing designs as desired by the customers. 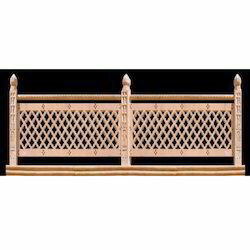 The offered railing systems are made available using the support of standard components which allows for easy handling of standard and customized railing designs. 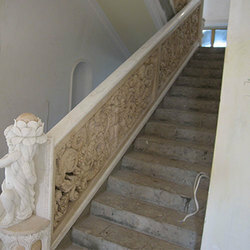 We are one of the trusted names to offer Baluster Stone Railings for our valued clients. These are extensively used in offices, homes, and many other places. Designed and crafted using quality approved stone; these eye-catching products are available in various designs and patterns as per the requirements of clients. These are highly appreciated for attractive design, smooth finish, smooth texture and long-lasting sheen. 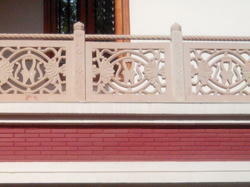 We offer these baluster & railings at pocket-friendly prices to the clients. Extra cost: Transportation, local arrangements such as scaffolding, electricity, water, accommodation for installation team, cement Araldite for fixing etc. 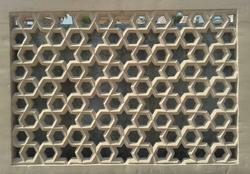 Our installation team install this jali at the client site and once installed they last forever. The material does not change with time and remains as new as always. 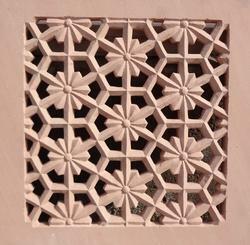 This jali also does not require any type of colour paints or special maintenance activity except cleaning from time to time. 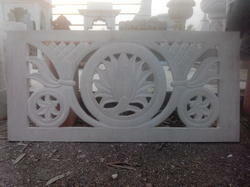 Stone jali or railing comes with assesories. it has 5 components. 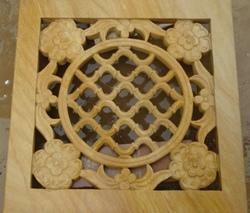 There is DASA (Jali base or kind of DPC). Dasa comes in various size and designs. it can come with 40 MM thickness to 100 MM thickness. Second assesory is jali pillars (Matanga). these pillars also come in various size depends on client budget. one can choose 3''*3'' pillars or go for 4''*4'' pillars. Third component is Jali it self. 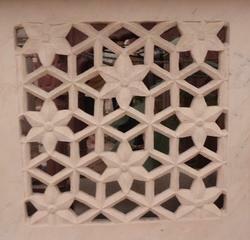 It comes in various designs and there are no fix standard size for jali. 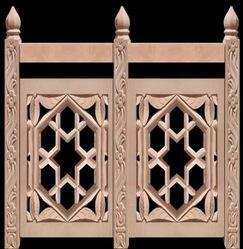 These jali are manufactured based on client choice and budget. 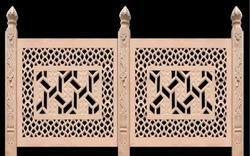 Jali can come in 40 MM thickness to 75 mm thickness. forth component is railing/rode on top. this component is optional & depends on client mood. 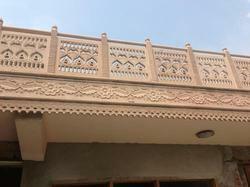 Rode add beauty and at the same time brings down overall cost by reducing jali height. Fifth component is installation. 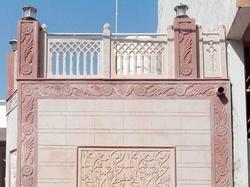 though there is not much technical about jali works installation but it plays very important role in final product. Quality finishing and strong fittings works cost more. Hence it is advisable to focus on final product instead of selecting vendor based on lowest quotation. Packaging Details: As per clients need & packaging charges are extra.